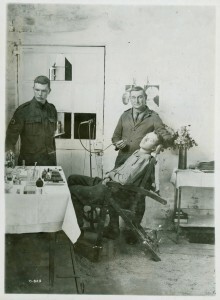 The Canadian Army Medical Corps (CAMC) played an essential role in keeping soldiers alive. Founded in 1904, the Corps underwent massive expansion from 1914 to 1918. 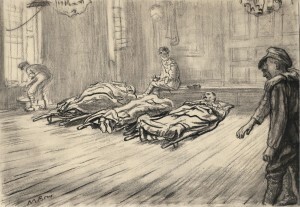 Casualties among Canadian troops in France and Belgium were so heavy that more than half of all Canadian physicians served overseas to treat them. 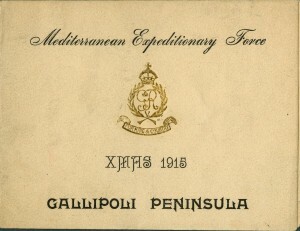 In 1915, Canadian medical units went to the Mediterranean front to support British forces fighting in Gallipoli, Salonika, and Egypt. 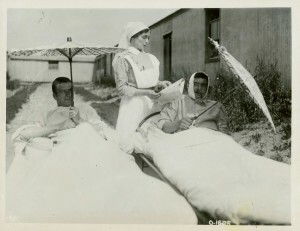 The Canadian Army Medical Corps eventually established five stationary hospitals in the region, with medical personnel working in terrible conditions that included extreme temperatures and restricted access to supplies. Almost 1,500 Canadians served in the Mediterranean region between 1915 and 1917, primarily assisting patients suffering from battle wounds and disease. 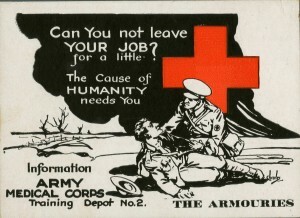 In total, 21,453 men and women proudly wore the CAMC badge. Many of these doctors and stretcher-bearers served close to the front, and the medical service suffered 1,325 casualties during the war. Three of its members were awarded the Victoria Cross for meritorious service. The terrible battlefield wounds required that medical personnel adapt their practices, or create new ones, to save lives. 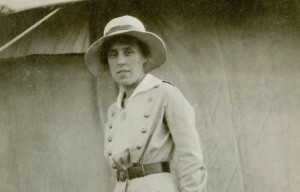 Nursing Sister Gertrude Ellinor Halpenny poses in her summer uniform in front of a medical tent. 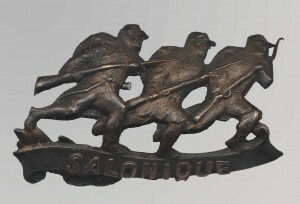 Halpenny enlisted with the Canadian Army Medical Corps on 22 September 1914, and served in Canada, England, France, and Salonkia with several hospitals. She was demobilized on 1 November 1919.